As with all iOS updates, there is some confusion on how to do things. And of course, there are bugs and errors to work out. So if you’re unable to play your old videos after this update, read along for some tips on how to fix the issue. 5 Is Your TV App Showing a White Screen? Any new videos that you buy from the app store continue to show up in the TV app, just like they did in the now obsolete Videos App. And any previous video purchases from the store are also automatically available on this new app. Tap on the TV app and choose the first option on the bottom of your screen ‘Library.’ All your purchased content and your media from your old Videos app show up here. To find a list of shows and movies that you bought or rented in the iTunes Store, use this Library tab. And if you have any home movies that you transferred to your iPhone or iPad, these too appear in the Library tab. For example, all your TV Shows purchased before updating to iOS 10.2 are now in the Library’s TV Shows section. The TV App features four tabs. Beyond the Library tab, you’ll discover Watch Now, Store, and Search. The Watch Now tab has two sections–Up Next and Recommendations. The first section, Up Next, shows your current TV Shows and movies. The second section, Recommendations, features content curated by Apple’s television experts. All content in Watch Now is instantly playable. Watch Now also filters by free content, your subscriptions, purchases, and rentals. 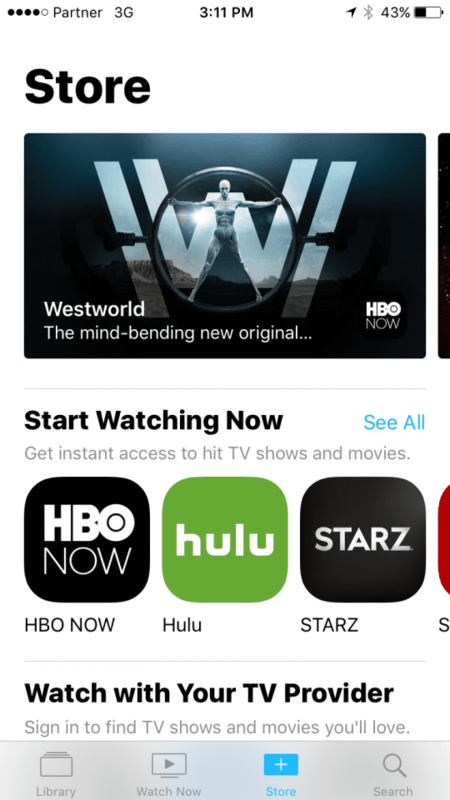 The Store tab installs apps that support the TV app including apps you individually subscribe to, such as Hulu, HBO Now, and so forth. The Store also includes apps that work with your cable or satellite TV subscription such as A&E, BBC, and others. If your pay TV provider supports Single sign-on, then all you do is sign in once to instantly access all the apps included with your pay TV subscription. 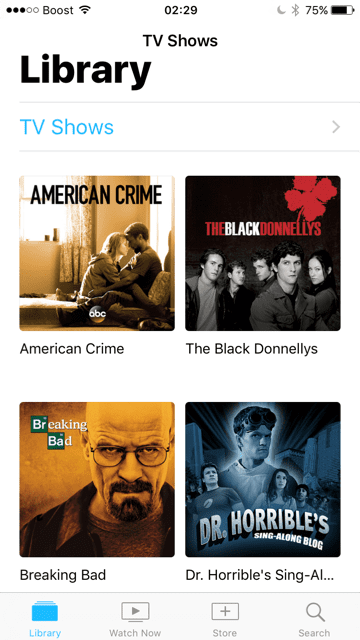 With the Store tab, browsing the latest TV shows and movies from iTunes is easy too! But there is a significant obstacle with TV App’s Store. It doesn’t currently support Netflix or Amazon Video. And the single sign-on feature currently only works with a small group of providers and currently DOES NOT work with Comcast, Time Warner Cable, and Verizon FiOS–the big guns! So the idea is great but until Apple’s TV app gets substantive support from the big cable and satellite providers, single-sign on is still a dream. The Search tab allows you to find your favorite TV shows and movies by title, cast, or crew. Ask Siri to search for you! The Search tab also shows you what’s trending today. And when you see something you like, just ask Siri to add that TV Show or movie to your Up Next. Or go old school and manually add that movie or TV Show to your Up Next from that content’s page. Just like the old Videos app, changing basic settings is easy through the Settings App. For iPhones and iPads, go to Settings > TV. For Apple TVs, go to Settings>Apps>TV. Several readers discovered that they cannot find or play their old purchased videos with the new TV app. When you update to iOS 10.2, the TV app is supposed to sync ALL your videos that were previously available in the Videos App. All this content should show up in the TV app in the Library tab at the bottom. But many iFolks report they aren’t seeing any content or are unable to play the content that does show up. 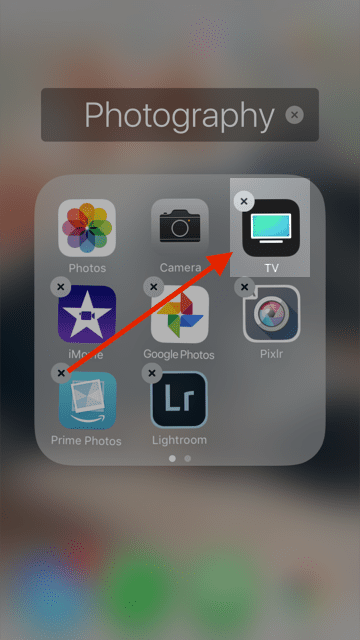 Delete the new TV app from your iPhone or iPad. If you are using an iPhone 7 device, make sure to gently touch the app on the screen as opposed to a long press that you were used to in older iPhones. Once the apps start wiggling, you can tap on the ‘X’ button and uninstall the app. If you didn’t find success using the previous steps to get your videos playing on your iPhone or iPad, delete the videos from your iDevice. Plug your iPhone or iPad into your iTunes account on a computer and re-sync to get the videos back into your device. Some users report success when they delete content and re-synced it back into their devices. 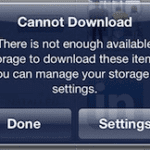 Problems with Downloaded Content for Your Travels Far and Wide? 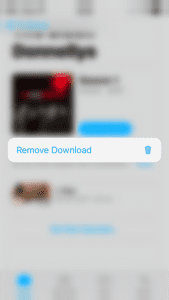 Double click your home button and close all apps by swiping up. Then go to Settings>iTunes and App Store>Tap your Apple ID and sign out. Next, restart your iDevice. Then sign back in with your Apple ID. Check that WiFi is ON. THEN, open the TV App and verify that your downloaded content appears. If all your content is there, go to Settings and turn ON Airplane Mode. Go back to your TV App and see and if your downloaded content is still there. If so, try to play it. If everything plays as expected, close the TV App by swiping up and the open it again to test while your iDevice is still in airplane mode. 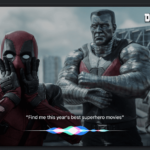 Apple Support is telling readers that the TV app can play movies offline without an internet connection but to do this, you have to connect your device to a computer and use iTunes to install content onto your iPhone or iPad. When you download content to your iDevice via WiFi and then move into a no-WiFi area, the TV App stills looks for an internet connection to play the content. How ridiculous is that? Let’s hope this Apple-oddity get fixed in the next iOS! Is Your TV App Showing a White Screen? One of our readers, Ted, found a great trick for playing downloaded videos without wifi using the new TV app. First, turn OFF wifi, then open the TV app with a cellular data connection. 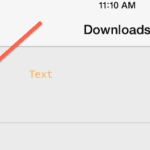 Tap on the Library icon AND THEN select the downloaded option. Your movies, television shows, and other media content should load AND SHOW UP on your iPad, iPhone, or another iDevice. Once the content appears, toggle airplane mode ON and watch your shows and movies. The BIG caveat is NOT to close the app (so no swiping up) after doing through Ted’s steps listed above. Thank Ted for the great tip!! A fellow iFolk also noticed that when she force quit the TV app and launch it again, her additional downloaded content showed up! This tip uses iTunes. It’s a pretty drastic and time intensive option. We’re putting this tip here for you to consider since a reader did report it worked. But it’s an involved process. If you want to try it, test it out on a couple of videos first to see if this works for your situation. Another option that is a popular workaround to view your home videos on your iPhone or iPad is to use a free third party video player like VLC Player. Installing this app allows you to play the videos that are there on your iPad but are currently not showing up on the new TV App after your iOS upgrade. We highly recommend the Infuse App for those folks that are looking for a better video player than the new TV app. The TV app is currently only available to US users on iOS 10.2. Several readers that updated to iOS 10.2 outside the US found that the setting to hide iTunes purchases “Show iTunes Purchases” option is not working and your iPad/iPhone shows all the content instead of just the local content on your device. If you are having this issue, you need to sign out of iTunes store on your device and access your videos app. This will remove the iTunes purchases and show your local videos. You can then sign back into the iTunes store using your account credentials. This workaround works for now. This app is still buggy. Users are having a hard time finding their Home videos. Apparently, when you put your iPad into Airplane Mode ( Settings > Airplane mode), the home videos show up in the new TV App. Others users have found that you can overcome this problem by just downloading a free TV episode from the store in the app and then it will list your home videos in the My Library section. Another option is to first put all your home movies into iTunes> Movies >Home Movies. Then connect your iPhone, iPad, or other iDevice and check the box for syncing movies. Sync your iDevice with iTunes. Then open the TV app, tap the Library and locate the collection: Home Movies. Surprisingly, we find that there is no easy way for your the iPhone or iPad to delete a video/ episode. We fully expected to see an edit button allowing quick episode deletion. But that, for now, appears to be missing in action from the TV app. So we tried several things to see if it was hiding somewhere else. Long Pressing an episode or trying to swipe left/right etc. did not work. The only way we were able to delete/remove content from the TV app was if the content was downloaded into the iDevice. Please note that it does not automatically refresh the status. Even after the delete from the step above, it still shows you the video. You have to restart your device to see the change in status. Upon restarting, the cloud symbol appears again signaling that the content was indeed removed and is now again available for download. Thankfully, one of our readers managed to figure out how to delete local video files. Go to Settings>General>Storage and select iCloud Usage and Manage Storage. Now try and tap on the TV app in the drop down to see any locally stored video. You should see your local video files along with an edit button that allows you to deletes individual movie files. It is still early, but I do miss the old Videos app. The new TV app has some excellent features such as single sign-on that makes it easier to watch content like DirectTV Go on the iPad, but for regular videos, it is probably overkilling. Your videos are still available in the Photos App. Tap on Photos app followed by tapping on the Videos folder, and you will find all your synced videos in this section. Please remember to check out the settings for the new TV app particularly if you are worried about cellular charges. Tap on Settings > TV > Use Cellular Data for Playback -> Set this to OFF if you only want to use your Wi-Fi for the video playback. You can also choose to set the video playback quality here. 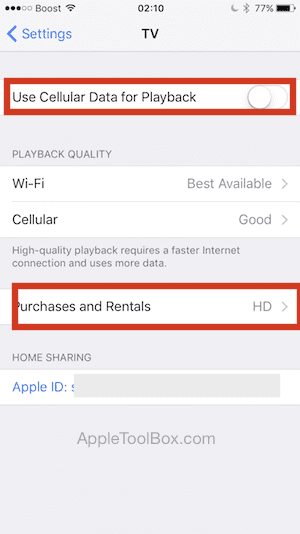 If you have a slow internet or wi-fi connection, make sure to choose Standard definition as opposed to HD in the Purchases and Rentals option. You should also look at your wi-fi assist option and make sure that it is disabled to prevent cellular over charges. Tap on Settings > Cellular and scroll down to the very bottom. Disable Wi-Fi Assist here. This will prevent your iPhone from automatically using cellular data when you have a weak wi-fi connection. 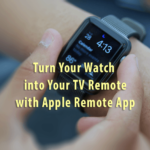 TV is a brand new app released from Apple. And it takes time and tinkering to get used to it. What are your thoughts on this app? Do you like this new TV app or would you rather prefer to only use the Videos App as in previous iOS version 10.1 and below? First the new TV App cleared all of my home videos off my iPad. Then it wouldn’t let me put them back on my iPad. Looked through several discussion boards to find that I would have to change them all to music videos to get them to load onto my iPad. This is not something that is reasonable in my opinion, because even then, I have to go sort through all of my wife’s music to find them. This is ridiculous! Very unhappy with Apple and your practices these days. Quite a few people on the discussion boards suggested just going to Android, because you can SIMPLY drag and drop instead of jumping through all the hoops on your proprietary program. Still can’t take my movies with me when I travel because of this stupid, (what I hope is simply an), oversight on your developers part. Or was this done intentionally? Maybe I’m going to have to switch over to Samsung. I have DVD movies that I downloaded to iCloud Drive however I am unable to play them on my iPad what is the problem, or what am I doing wrong? I use to be able to download my DVD series, such as Stargate for the full seasons and watch them later on the iPad now I can’t. How do I get this function back again. The TV app is crap. I have my iPad Pro sitting right next to my main computer and I have videos in my Home Videos folder I have in my Library in iTunes. They show up for about 3 seconds on my iPad then disappear. Can’t find them to play them. What a waste. What the heck Apple. Stuff used to just work. Now it takes a engineering degree to figure out why and how to make stuff work. I absolutely despise the new TV APP. It seems like they just change things for the sake of change. Everything did work fine before with older iOS and the Videos App. Troubleshooting does not help at all. Even worse, I did get videos to play off the app but now they no longer are there, so no movies on a long flight! Thank you apple, this was the straw that has finally pushed me away from all your nonsense. So I’m done with you Apple. Thanks, alot guys, I’ve been trying to locate my home videos that I transferred from Itunes onto my Ipad for the past 3months. Sorry, Elizabeth. 10.2 is a malware disaster that has destroyed one of the most useful, if not the most useful iPad function: the ability to play downloaded movies and videos. The professional thing for Apple to do is to offer an update that restores the original Video icon and its functionality, with full access to already stored videos without having to reload the entire library of them thru iTunes. Any claim that this is impossible is just an admission that Apple does not want to invest in the programming effort to undo the vandalism perpetrated by their 10.2 update. The 10.2 update, in short, is a disaster, more like malware that has vandalized the iPad’s functionality. My internally stored movies and videos are no longer accessible unless Wifi is engaged, and even then they are subject to playback interruptions. Apple recommends this fix: turning off Wifi, turning on Airplane mode. Sorry, internally stored videos are still unplayable. Apple then recommends the following fix: “Plug your iPhone or iPad into your iTunes account on a computer and re-sync to get the videos back into your device.” Jerking my string, Apple? Reload all my stored videos thru iTunes? Sorry, too much data motion to compensate for the bungled 10.2 malware. Apple: Please restore the original Video icon whose function was to simply play the internally stored Home Movies and videos without fuss, wifi, or jumping through hoops. Is that asking too much? Sorry to hear about your troubles with iOS 10.2’s TV App. Unfortunately, quite a few of our readers experience similar problems with this new app. Hopefully, things improve with the next iOS release 10.3–expected any day now. In the meantime, try this for the blank screen–it’s worked for some folks! One other suggestion is to sign out of your Apple ID, restart your iPhone or iDevice, and then sign back in with your Apple ID. For some, this makes a difference. Still can’t play any of my Videos on my Ipad since I updated…I’ve tried restoring to no avail. When I connect it to my ITunes I can “see” that the videos and movies are “on” the Ipad, but they don’t play when I try to use the Ipad. Thank you for your thorough post. I had found the “look under the TV app” already but that is so not obvious! I had immediately put that in the other folder for all the junk I don’t use. I only watch video on the device itself so it wouldn’t occur to me to look there. I am sure they told us in microscopic print somewhere during the update right? Or am I just supposed to know already? Sheesh. If I’m on the airplane this app does not work!!! It must have internet access. How can I get the old video-app back? Unfortunately, there is no way to get the Videos app back once you update to iOS 10.2. The TV app should work without an internet connection for any content that you’ve downloaded onto your device. Also enabling airplane mode disables WiFi when first toggled on. However, you can re-enable WiFi by turning WiFi back ON after toggling ON Airplane mode. The important thing with Airplane mode is that all cellular signals are blocked. WiFi does work–that’s what allows you to connect to in-flight WiFi networks. You can also turn on WiFi from the Control Center. Swipe up from your Home Screen and tap the WiFi icon. Who thought this one up? Why doesn’t Apple fix what’s wrong with what apps it already has before Apple completely fouls up what already works! This appears to be nothing more than another attempt at controlling My Content on My Phone that I PAID FOR! It is a very big shame that apple deliver such a terrible TV app without consulting users first. I assume they just want people purchase the content & make money. This is wrong. So Apple proves that without Jobs, the leadership at Apple is not useful. So I have always liked apple but seriously this is horrible! I have several movies that I put onto my iPod and now I can’t even access them. I find it great the Apple guys try to make improvements but to only make an app that ONLY works on iPhones??? The hell? I have no options for using wifi or data, I have no way of getting these videos back and it’s just stupid. Seriously. The people at Apple need to think of the other bloody items they make. Not just the iPhone. I hate this new tv app. The videos app was much better. I have tried to watch my movies that I have purchased & downloaded on airplane mode while traveling. I get a message that says I need to connect to wifi??? Why? The movie is downloaded, it shouldn’t need to connect to any network. That’s the point of downloading. Needless to say it was a long flight and I am very upset that my videos app is gone. Hey apple, if it ain’t broke don’t fix it!!! If this is apples innovation, I’ll switch to android!! Wow, that is weird! That makes me wonder if your iPad needs an iOS refresh. That involves returning it to factory settings and setting it up as new AND then reconnecting it to iCloud. So backing up everything, EVERYTHING is critical here. The good news is that your home movies are safe! Since they show up on your iPhone, we know that your iCloud (or iTunes) backup retains them. Just for some reason, your iPad is not recognizing them as home videos and consequently, the TV app doesn’t even know they are there. I learned a lot through this “adventure.” So thank you too! So how do I get those into this App? I have iCloud settings all ON but there is no setting for home movies so they didn’t transfer through. Glad to hear that your TV APP is now working and opened up your purchases. Based on developer reports, the next big update of iOS to 10.3 appears to fix many of the problems with the TV App, including the non-recognition of home videos. It’s slated to be out at the end of this month or possibly beginning of next. If you’re willing to wait it out, this is the easiest path to follow. If not, try the following tips from various readers. They work for some and don’t work for others–no apparent pattern or reason why. Try each one-by-one. I also recommend restarting after each tip. First, try downloading a free episode using the Store option INSIDE the TV App. 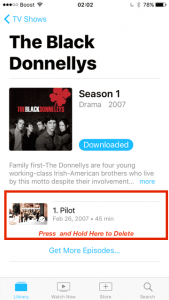 Many people report that after downloading a free episode, all their other content populated as normal. So it’s worth a try! Some users got around this particular problem by activating the TV widget. To add a widget, go to your lock screen by swiping down and swiping to the right or left depending on the screen that shows. Once at the screen that shows your lock screen widgets, scroll all the way down and choose Edit. Find the TV widget and press the green + button to add it. Restart your iDevice and check if your videos now appear. Finally, here’s a tip another reader provided about getting the TV App to recognize those videos using iTunes. This is a pretty drastic and time intensive option. I’m putting this tip here for you to consider since a reader did report it worked. But it’s an involved process. If you want to try it, test it out on a couple of videos first to see if this works for your situation. To get back all your videos including your Home Movies, all your videos need to be defined as “Home Video.” Locate this information in the field “media kind” under the”options” tab when the “show info” window is open. This is beyond FRUSTRATING! I have uninstalled and reinstalled several times. I CANNOT even open the TV app. I purchase my TV series on iTunes and download to an iPad (no cellular) to view where I do NOT have access to wifi! What were they thinking? It is bad enough we have to update ALL OF THE TIME! I have had to replace devices because of updates and now they screw up this app! This is NOT the Apple I fell in love with. I am just about ready to through it all in the landfill (which Apple obviously cares less about! )….SOUR APPLES. Good luck contacted Support! They ask you the SAME questions over and over and all they do is say “Please hold while I check my resources.” REALLY! Disgusting! My friend’s Fire and Kindle work better than this expensive piece of ROTTEN fruit now. If I delete the app and reinstall what will happen to all my purchases and my home videos will they still be there ? iCloud Photo Library is also ON. If either of these features is OFF, turn them ON–it might take some time to backup everything if iCloud hasn’t performed this action before. So plug into power and be patient. However, given that most of us have only the free iCloud account, all your videos may NOT be backed up. So it’s best to backup via iTunes to your computer–space is only limited by how much storage you have on your computer or an external drive. We recommend doing both types of backups–iCloud and iTunes. So, if you backed up all your data to iCloud and iTunes, everything should be there and be safe. And it should all sync back to the TV App once you reinstall. This is how it is supposed to work. But things sometimes do not go the way they are supposed to–as your current update to iOS 10.2.1 demonstrates. And the new TV app seems particularly problematic. So, even with the double backups you take a risk of losing the home movies. You shouldn’t. But it’s possible. Unlikely but still possible. Finally, a reader suggested the following, which is worth a try before doing anything else. Go to the bottom of the TV app, tap on the Store icon. In the store, scroll all the way to the bottom of the page and select “Free Episodes.” Download one free episode–anything will do. 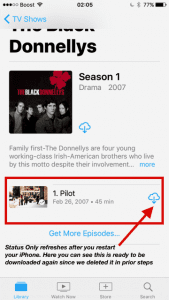 Once that free episode downloads, this reader discovered that their TV App worked normally. And all previous content including home movies synced and populated their Library. I wish there was a definitive answer for you, but this is the best we have right now. Alternatively, you could wait until the next iOS update to 10.3 later this month or possibly early March which is suppose to correct some of these issues with the new TV App. Sorry that the TV app is causing so much trouble! The TV app is one of Apple’s native apps that you are able to uninstall and reinstall via the app store. So tap and hold the TV app until the x appears and go ahead and delete it. 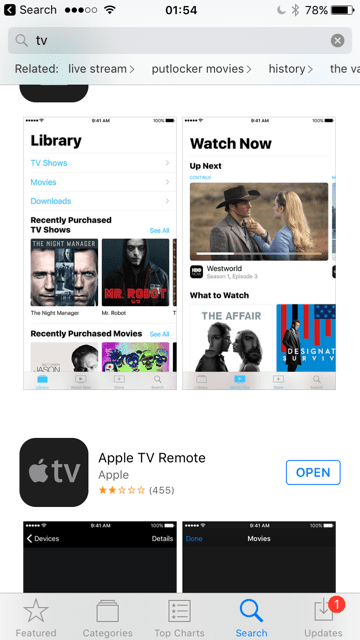 The go to the app store, search for TV app and download and install again. Hopefully, this fresh start will get things working again for you. Yeah…so far we are really disappointed with Apple’s TV app–Videos App is truly missed. I have the same problem. Is there any way you can access them without first using wifi? Sometimes I’m in the car and my son wants to see a video and we don’t have a wifi option to get the video started. I purchased these videos and it’s frustrating that I can’t watch whenever. I have about 800 movies in my “home movie” section in iTunes. They all sync to my iPad. However, there is NO SEARCH ENGINE on my iPad that will search my library in the TV app. I have to scroll down through 800 movies to try and find what I am looking for. Not quick enough in a meeting. Please look into this issue. It once was great. I had trouble with playing downloaded movies without wifi using the new TV app. I got around it by starting the TV app while I still had a cellular connection and clicked on the library icon at the top of the app. Then I clicked on the downloaded option and my movies loaded on the iPad showed up. I could then go into airplane mode and watch movies. Don’t close out of the app and you should be fine. Very frustrating that you have to have an internet connection to be able to play downloaded movies. What’s the point of downloading anything if you could can just stream it when you are connected. I always rent a movie ahead of time to watch on the plane to avoid paying for wi-fi. While on a plane today I was unable to play the movie I paid for yesterday. They need to fix this! I’m having the same issue as other of not being able to watch downloaded videos on the new TV app. I’ve been though all the possible fixes and nothing works. It worked at home last night in airplane mode but when I tried to turn it on again this am I get the “can’t work without internet” message. Totally frustrating and disappointed. I’m a long time Apple user and am very disappointed in them. This is what I would have expected as an issue on a P.C. not a Mac. After upgrading the software to 10.2.1 on my ipad the videos are not working.specially some websites of movies and YouTube .it just starts to load and loads forever. I have done resetting ,but not working.what should I do now? Please give me some suggestions. I was on a flight without wi-fi and the app would not launch. It just spun and spun, no menu, nothing. I can reproduce the issue at home by disconnecting from wi-fi. Is this expected behavior? I couldn’t watch movies I own or movies I had rented. It was very frustrating. I’m sorry to learn of your troubles with the new Apple TV App. Yes, this new interface is hard to get used to! Unfortunately, you are not alone with this particular problem with the TV app not working without a WiFi connection. A lot of our readers report similar problems–and it appears to happen quite frequently when traveling, either in planes, vehicles, or other travel methods. iFolks say that when they are traveling, the Apple TV app (former Videos) simply won’t load at all without an active WiFi. But when they connect to in-flight WiFi or WiFi available at a hotel etc., the app loads and content is there. This leaves a lot of people with no way to watch my movies and other downloaded content. For parents with small children, this is a nightmare! All recently downloaded shows and movies appear in iPad TV app, but tapping on them does nothing. They don’t play! I wanted to watch on a flight and now I have nothing to do… great! In the past, a series of videos were able to play one after each other, automatically… now, only one plays at a time and requires the play button to be pushed each time…. not friendly for a Two year old in a car seat!! Anyone know how to make them play one after another?? Unfortunately, there is no way to play content continuously on the new TV app. We know that for a lot of iFolks, not having a continuous on/off toggle renders the new TV App useless. We too are frustrated! And when you have kids or your grandparents wanting easy access to media, it’s very troublesome. Our best advice at this point is let your voice be heard. Send Apple feedback so they know we want continuous video play on our tv app. Ideally, we’d like to see the next version of the TV App to have a continuous play ON/OFF switch. That way those that prefer watching one episode at a time have an option to turn it off AND those of us that want (okay, need) continuous play turn it on with just a tap of a button. Fingers crossed that Apple listens and makes this update the next go around for the TV App! Thank you! Same issue here. This app is terrible. This app is awful! I bought and downloaded shows to watch without wifi or cellular, and when I click on the TV app, it just gives me a blank white screen. Several reboots of the iPad have not resolved this issue. Please, Apple, work out the kinks before pushing out flawed “updates”! I have four ipads, and fortunately we held off on updating one of them. We bought big hard drives so we could have video files WE PURCHASED from apple on drives without a network or cellular data. I have tried every fix suggested I can find online, and still I cannot play cartoons for my four year old on a 3 hour drive THAT WE PURCHASED from the iTunes store. Total BS, and now we don’t use the ipads that have been updated at all. BAD APPLE. FIX THIS BS so I can access what I paid for from a file on the device, not streaming. It is a shame how Apple’s greed is taking them down the hole. About 5 years I stop using Apple products: Android is getting better by the day and Samsung, LG, HTC, ASUS -and others getting better on hardware. I just purchase and ipad to work on and Ibook release and really found myself ashamed of how many people are suffering because of Apple’s greed depraving all of us of enjoy what we pay for. In other words, I pay for a very expensive piece of equipment, just to find out I CAN NOT use it to my advantage and benefit much less others. This general disconfort with American company’s (and politician’s) greed is what is shaping our country the way it is going now. What a SHAME… What a SHAME..
Can I just say that this was a ridiculous update? I tried to access my videos and I keep getting ‘Check Internet Connection’ error! My special needs daughter has for years been able to watch her videos by herself, which is a miracle. Now she can’t even find the app. Such a mess! How long is it going to take her to learn this again. Why change something if it works well? Is there any way to go back to grid format? That’s terrible! I am so sorry. My grandma is facing similar app adjustment issues with the update. Right now theres no way to get the old app back. Please send this feedback to apple and let them know how this really upsets your and your daughter. Apple prides itself on the accessibility of its products in comparison to its competitors. Im sure they unfortunately probably didnt give situations like yours much thought when redesiging the videos app to the new tv app. Hopefully things with the tv app will get better as updates roll out. It’s a nightmare! After purchasing all these videos I can’t watch them. I’ve been an apple user since the first apple computer. I am so disappointed in this mess of an update!!!!! Why make a TV application and send it out to millions of users and have so many issues? Are you incompetent? At least give users the warning that this application comes with senseless IT knowledge and it doesn’t work just yet. I’m looking at eventually switching our entire staff over to the surface it its not fixed by the end of the month. how hard is it to make the new product at least as good as the product it replaced? I play a TV Show I expect to at least have the option o have it roll automatically into the next episode. The Video App did it just fine. TV App? Nope. at least add a toggle in the settings for it to be an option. With Tinnitus I fall asleep right away with the ipad turned on but will wake up through the night and have to reset it to get back to sleep. before this “new App” I was able to start on episode 1 and sleep all night. Hope someone somewhere is paying attention and fixes this. I am oh so not happy with the new TV app! Give us back the movie app!!! One issue no one addressed is the fact that you can’t access movies without wifi. There is no longer the option to save content to your device! I’m disgusted!!!! thank you, dave our toddler loves certain titles. your work around did the trick on the iPAD – once i turned on “airplane mode”. I’ll admit, it took quite a bit of time to find a solution. I, too, am not thrilled with Apple at the moment. There’s a workaround for home videos to work on this app. In iTunes getinfo => change from home video to movie. Re-download and they will appear n TV app. But seriously a replacement app that takes away features? Did this take “courage” like removing the headphone jack from iPhone 7? Is a Steve Ballmer secretly in charge at Apple? You need to,wake up Apple. Stop screwing your customers! I agree with everyone else – this app stinks. I used to be able to watch tv shows consecutively, and now can’t. Why take away a good thing?? The TV app is junk and an obvious push from Apple to get people to subscribe to other viewing apps. It reminds me of how my grandparents used to pay ridiculous subscriptions for cable packages. Nobody wants to pay every network a monthly fee. We’ve been buying TV shows and movies from Apple since iTunes was invented. We have literally thousands of movies and tv shows, all stored on a very cheap (buy it once, upgraded on our own schedule) 16TB NAS. With the new TV app, with the deletion of the Videos app, Apple removed our ability to access all of those shows and instead encourages us to subscribe to other apps to regain access. Apple and the networks are double-dipping, wanting us to pay again and again for shows and movies AFTER we’ve already paid for them in full. Surely this is both unethical and illegal. The TV app is not intuitive at all. You shouldn’t have to “work around” the new system to give you something that worked fine before. APPLE; GIVE US BACK OUR VIDEO APP!!!! If you want to put out a separate TV app, that’s fine, but don’t take away the video app. FIX IT NOW!!! Since the update, I can no longer binge watch downloaded shows. It used to start the next show in a series automatically. Not anymore, continuous play is gone. I like watching full seasons of old shows. My iPad Pro does not play one episode after another anymore. Why does apple change a good thing? Perhaps updates for changes like this could be optional. Could you imagine buying a car, take it in for service, and when you get it back it’s totally different. C’mon man! I had the same unfortunate experience on a long plane trip and cannot even find the downloaded movies on my iPad although I can stream them from the iTunes store when I had an internet connection restored. I can not watch rented movies anymore without an Internet connection. I had to buy United wifi for $7.99 to watch my movie. So f-Ing ridiculous!! Wish I never upgraded. Apple once again screws up a perfectly fine app and tries to dictate what is best for me and my purposes. When I travel I like to download movies and watch them without trying to stream on crappy wifi offered by hotels. I can’t see any ability to download videos or even see what’s on my iPad without first tapping the video. And where are my purchased videos that I could download from the Apple Store? Not all my videos appear to be in the cloud. 2. Uses wrong thumbnails for some shows. Example: It’s using Trans Siberian Orchestra cover art as the thumbnail for “The Big Bang Theory”. 3. No way to hide purchases that you no longer watch, even if you don’t download from the cloud. 4. Home movies are not available without the work-arounds described in this article. I don’t have internet at home. I was downloading movies and watching at home. It looks like you have to have internet and use data with the new app to watch videos on your iPad. I wish I hadn’t upgraded. This TV app is F***ing ridiculous. I use my iPad primarily for streaming and playing videos that I’ve either converted from DVD or downloaded. I don’t give a s**t about “single sign on”, or access to all my programs from one app. I cut the cord a long time ago and I don’t subscribe to ANY paid services. Since the 10.2 install I’ve bee completely crippled. I tried a few workarounds and gave up and reverted to 10.1.1 (which took a lot of my precious time.) Thank god I was able to do it in time before they stopped signing the older SW. I have always been able to trust the iOS updates as at least “reasonably” tested, but this time they just threw it out the door with little to no testing, at least for the “TV” app. I am a long time Apple supporter but this time, come on. This is a joke. WHY does Apple do this sort of “improvement ” with no warning and no consultation with users? I am on a train and was looking forward to killing time watching a few episodes of a tv series I’d downloaded. Upgraded to 10.2 yesterday and now can’t play anything – the series is there but won’t open. And as usual it’s the poor defenseless end user who has to figure out what happened and try to fix it, wasting time and suffering endless frustration. You had a perfectly fine working system and you wrecked it. (After the 10.1 upgrade I began having trouble getting both my iPads to charge. Again, no problem before the upgrade.). Why the heck can’t Apple test out and resolve these problems before you release the upgrade? And why make improvements (which seldom are) and THEN ask people if they want them? Arggggh! Updated to IOS 10.2 and now cannot view/play videos from the internet links. Please explain how to fix this! Prior to IOS 10.2 I could search for my home videos (MP4)by name via Spotlight Search app. The Video App was replaced by the TV App which has no means of searching the video library. I see three solutions that I will recommend. 1. Allow us to download the original Video App that was just replaced, assuming this returns the spotlight search the capability to search for home video MP4 files. 2. Add Home Movies, Movies, Videos (MP4) to the categories in Spotlight Search. 3. Add search capabilities in the Library portion of the TV App. The ability to find personal files of any type should never have been removed. Whatever it takes to return this function as soon as possible should be done immediately, followed by APP upgrades that allow us to search rather than having to do it manually. Hate it. You cannot start a video that has been downloaded while in airplane mode, or without either a wireless or wifi connection. I tried everything for an hour on a plane with no success. Then I bought internet wifi access and was able to start the stored video. Definitely a huge bug. I prefer the old one. I used to delete the episodes by simply swiping after i watch it. Now, i should go to settings, storage etc etc. Every ios update is being a trouble. Removing the simplicity bringing problems and then new ios is coming to solve the problems created by previous verison but creating more problems. It is not a progress it is loop !!! Incredibly DISAPPOINTED in the TV App. My home videos appeared, diasappeared, reappeared and then disappeared and even after following all the recommended steps I still can’t view my home videos. I use them for presentations and with the TV App I am left or wonder if owning an iPad is worth it. The TV App is fine on my iPhone 7 but useless for my purposes on my iPad 4. I may be missing something but I always thought Apple was more user friendly. Managed to figure out how to delete local video files. As with so many Apple “improvements” lately, what once was a simple task now has become a multi-step adventure. Now you have to go to settings-general-storage and cloud usage-manage storage. There’ll you’ll see your local video files along with the edit button that’s inexplicably now missing from the TV app. That will let you delete individual movie files. Thank you for your comments and the tip! We appreciate. Why is apple always putting things out there that don’t work. The videos app had home movies on it worked great on my iPad. Now the tv app my iTunes show they are there but do not show on my iPad. Getting tired of apple products. This is why I am leaving Apple for Android. They just keep doing stupid things to do things, instead of just making better what already works. Apple has lost me as a customer. It doesn’t even work on iPod, all I get is a white screen. >_< Not happy since it’s what I use my iPod for, watching things on my break at work. They need to fix this s***! The new TV app was a poor decision. I no longer have access to my videos (not downloaded from iTunes). They could have kept the original videos app rather than trying to merge everything into the new app. I gained nothing by this, but lost what I had. Not a big fan either. I used the video app to watch episodes of tv shows that were downloaded on my phone. It was simple and you could get a season started in two steps. It now takes It takes at least three steps to get to videos for a season and then you have to manually start each video instead of having them automatically start one after the other. As with the “improved” Music app, it appears to be designed for 80-year olds with poor vision. I still don’t see the benefit of huge artwork icons that require to scroll through forever to get to the bottom of a list. I don’t see the benefit of the new app other than it will trick users into buying episodes in itunes. My drone videos vanished. I do not like Apple making these decisions. Thanks for the comments Ran. We are still trying to understand the value proposition for this app. There is also some confusion between this TV App and the Apple TV update. We use Apple TV and so this app doesn’t add too much value here. Having said that this is quite new and like always Apple always has a few tricks up their sleeve when it comes to new releases. Lets wait and watch.